An October 2013 view from the new birdwatching hide at RSPB Gruinart. 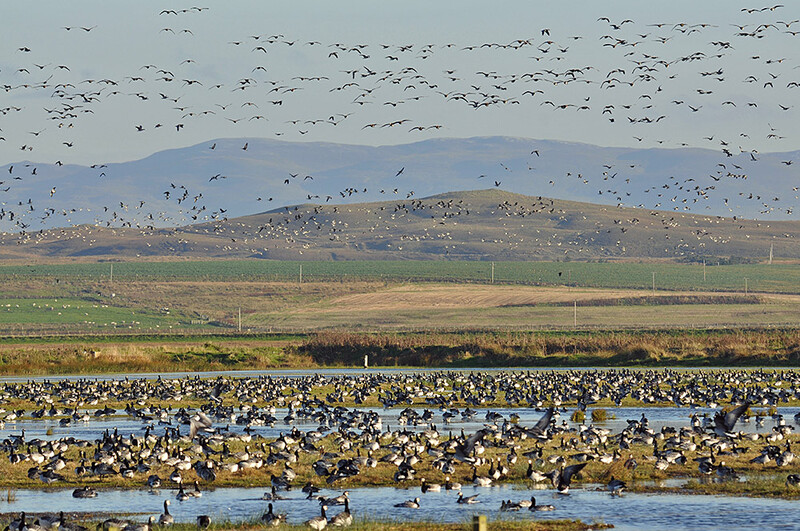 The Barnacle Geese had only a arrived a week before and were almost all staying at Gruinart at the time. They were also quite jumpy, providing an amazing spectacle again and again when thousands of them lifted off at the same time.